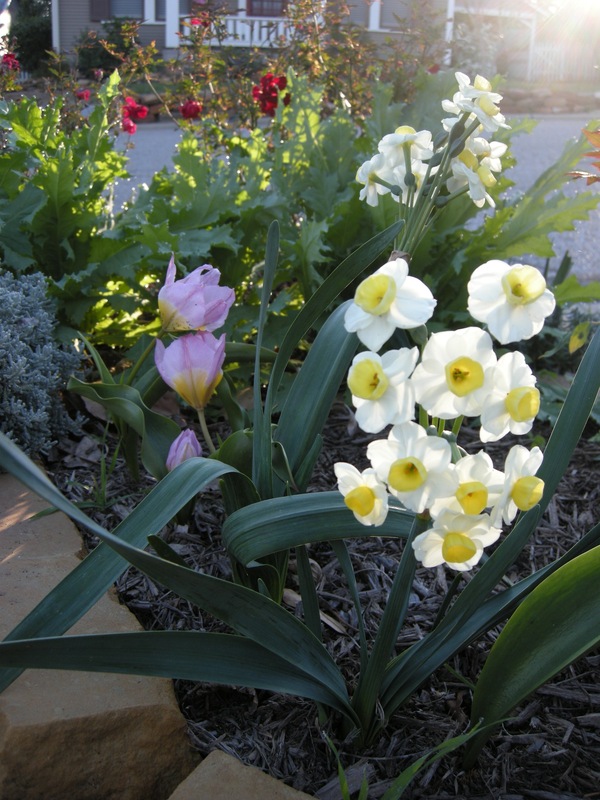 We can’t grow lilacs in these parts, and tulips are often iffy. 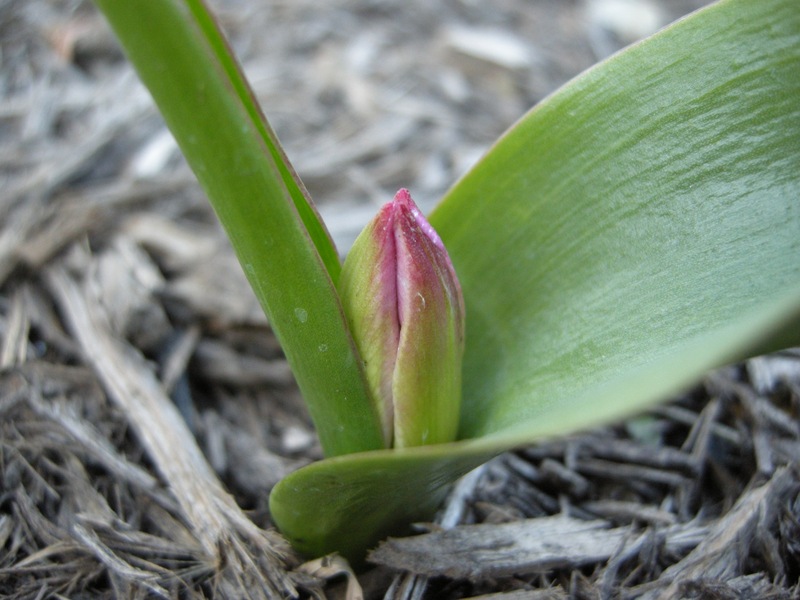 But these little ‘Lilac Wonder’ tulips (Tulipa bakeri ‘Lilac Wonder’) look promising in their first season. 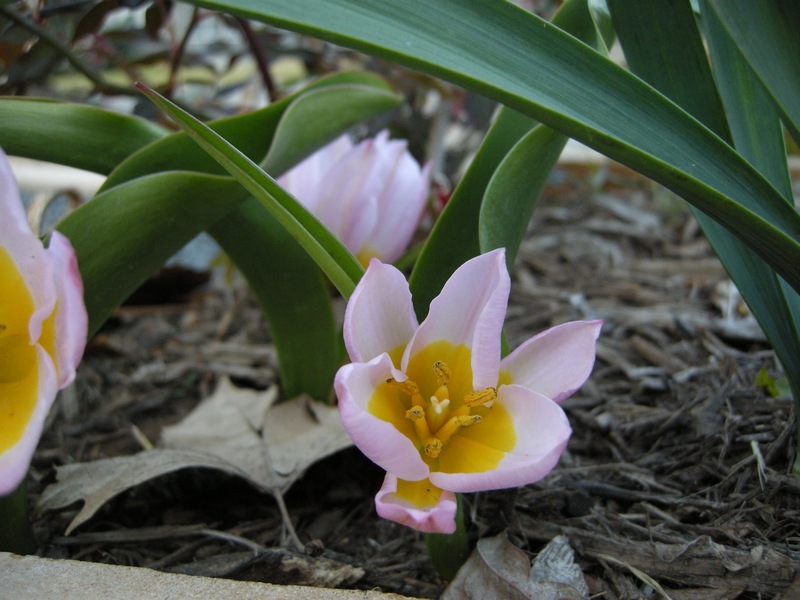 I planted the bulbs last fall, and was thrilled when the first blossoms peeked above the ground a few weeks ago. I was surprised to see the blossoms hugging the ground when they opened. 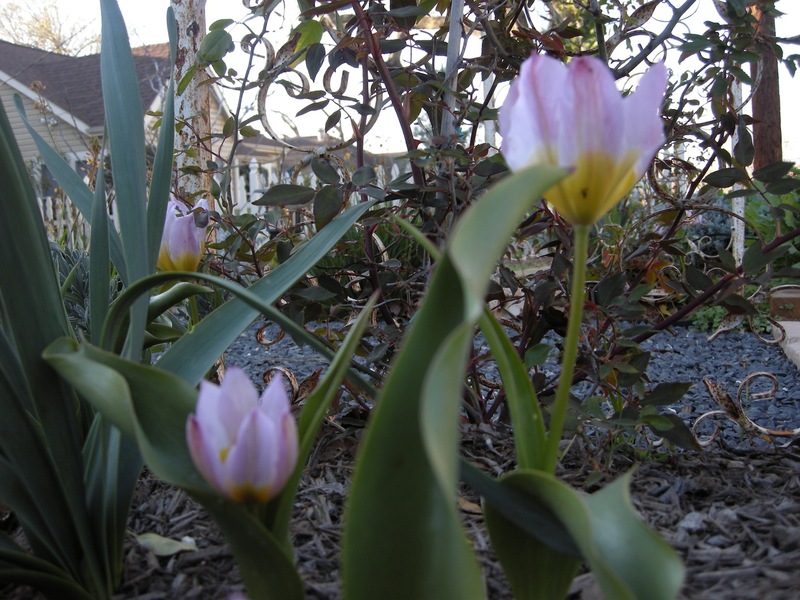 They’re demure – nothing like a big Holland tulip – but they’re cheerful and they are hopefully not one-shot wonders. Becky at the Arbor Gate says hers naturalized. This week, they grew legs. A first-year garden is kind of a pitiful thing, all that mulch still visible; but this is a good start. 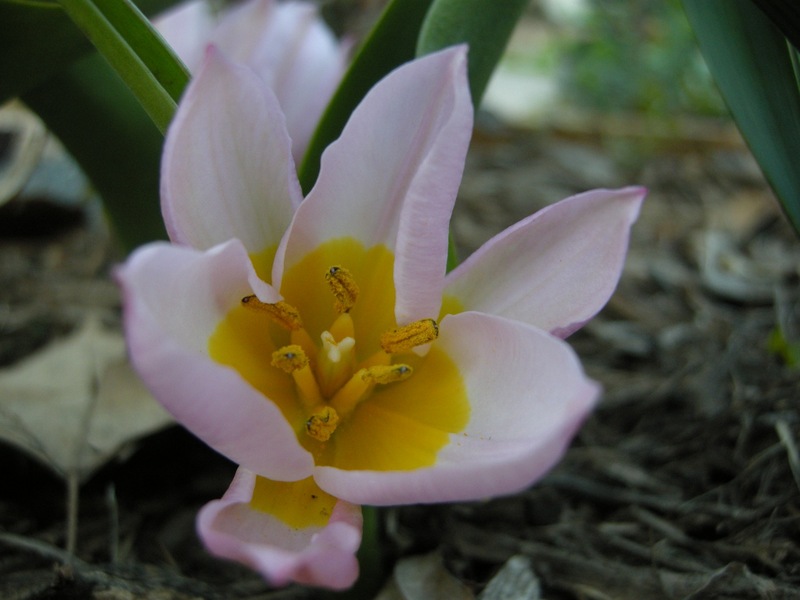 This entry was posted in Garden, Little Lessons and tagged 'Lilac Wonder' tulips on March 14, 2013 by Molly Glentzer.